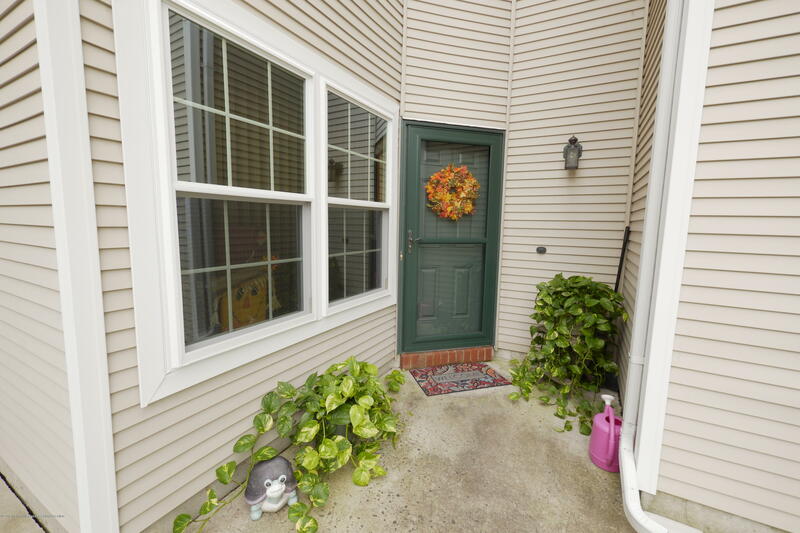 Gorgeous 3 Bedroom end unit lower level condo! This home has been lovingly cared for - true pride of ownership is evident. Upgrades galore starting with new front door, new windows, Renovated custom full bathroom , New Central AC, New Furnace, New Hotwater Heater, and beautiful hardwood floors throughout. Open kitchen features granite counter tops and newer appliances. Lower level for easy access - Includes Stackable Washer/Dryer and Refrigerator. Conveniently located to Stores, Schools, GSP, train and Ferry Services. Fabulous opportunity to get your children into top rated Holmdel Schools. NOT being sold as an Affordable Housing Unit.